Therefore I should give unceasing thanks to God, for He has often been forgiving of my carelessness and stupidity. Last year, I explained why St. Patrick is my homeboy. He still is. And I’m still smitten by the Irish and in love with the people whose speech sounds like a song. And every St. Patrick’s Day every Irishman (and woman) goes out to find another Irishman to make a speech to, said Shane Leslie. 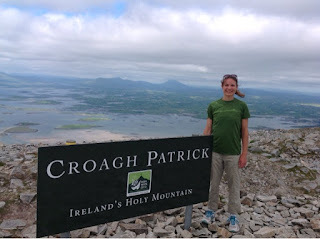 Because I can’t celebrate St. Patrick’s Day without thinking of Croagh Patrick and I can’t think of Croagh Patrick without thinking of what happened on that holiest of Irish mountains. But my memories climbing “Patrick’s Stack” are a wee bit tainted by a real tragedy. Which should come as no surprise, Irish daughter of Eve such as I am. W.B. Yeats said the Irish had an abiding sense of tragedy which sustains them through temporary periods of joy. I share that sense. But I’m not Irish Catholic and I don’t share their long iceberg of guilt. I go back with Patrick and rest in God’s forgiveness. More on that in a minute. Back to the tragedy. The one in blue there on the left might have been flanked by two at St. Patrick’s summit. But the third sister didn’t arrive because of selfish, stupid me. 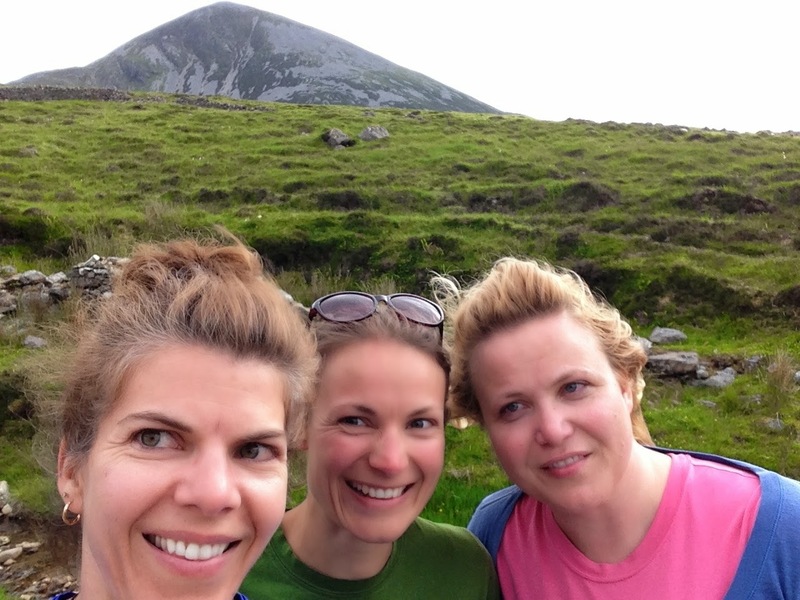 What happened at Ireland’s Holy Mountain will stay on that mountain. Suffice it to say, it did not involve a shove of treachery on the high mountain scree. But there could have been three. There were two because I stole a mountaintop memory from one. And godly grief produced repentance that lead to salvation without regret. Mostly. Salvation and forgiveness and grace for sure. But still a twinge of regret. Because when we met, as the sun set behind the sacred mountain, her blue eyes were wet. And I knew we couldn’t re-do. 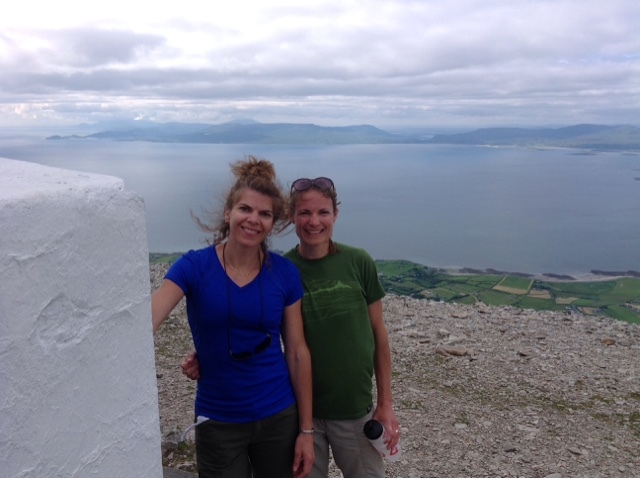 Dingle Peninsula and Gallarus Oratory and so many more roads to travel in two last days. Then home. And it’s not an easy pilgrimage to repeat, being from across the sea. I couldn’t get over or under or around the truth that my stupid sin got in her way. 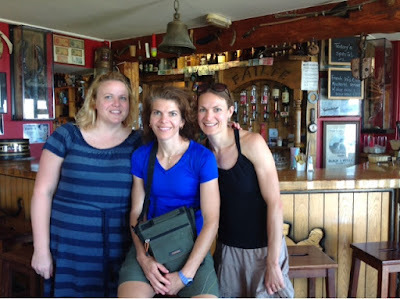 So, as much as I wanted a do-over, a pilgrimage for all three, grace had to be enough. And it was. It always is. So don’t worry. Don’t be Irish that way, you know, worried that you don’t have something to worry about. Sister three assured me she can laugh about it now. Which is quite her gift to me. A day will come when joy prevails, even over regret and tears and tragedy. It will all be swallowed up in victory. The Lamb will reign and in his presence will be fullness of joy. Complete and utter joy, untainted by carelessness and selfishness and just plain stupidity. St. Patrick’s day is bittersweet. And that’s okay. Because bitter reminds me of my Lord’s scars, wounds borne for sinners such as I, and sweet for God’s forgiving grace. It’s the air we sisters breathe. I don’t know if I’ve succeeded with that. But onward and upward. 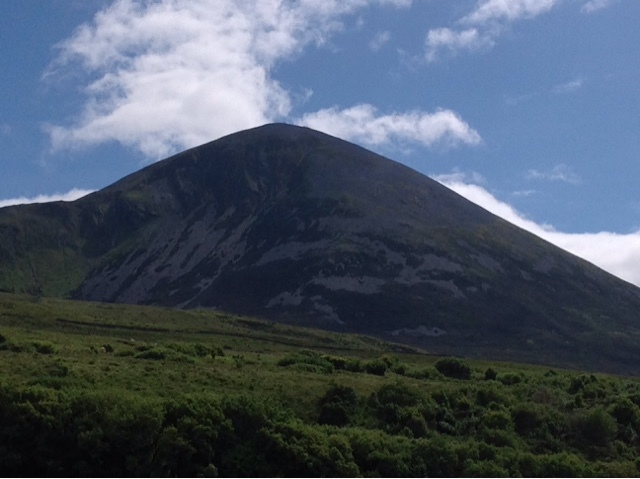 Joyfully pressing on through Croagh Patrick and beyond. I pray I tread as Patrick trod, by grace and with unceasing thanks to God who has been forgiving of my selfishness and stupidity. Amid a green-shirt forest the church sang St. Patrick’s Breastplate yesterday. Today kids donned shamrock hats and finished their littleman traps. Tomorrow we’ll chew our corned-beef and cabbage and watch green-beer revelries on the nightly news. Aye, we’re all Irish this week. A few of us, though, will stay “Smitten” the whole year round. Since my glorious, God-blessed, Irish-gift-trip last June, I am, and-in so much as Hibernia points me heavenward- hope to remain, forever smitten. I’m proud to be Irish, and not just on March 17th. Patrick is a huge reason why. I asked the boys if they knew who Patrick was- Oh, sure, a saint, they quipped. Patrick, a sinner, a simple country person, unlearned and the least of all believers-that’s how he began his Confession. And you, how do you answer: Who was Patrick? Will the real Patrick please rise? Patrick was not a leprechaun, nor mere legend, although legends about him abound. What we do know of St. Patrick comes through two ancient texts: his Confession and his Letter to the Soldiers of Coroticus. Both are in complete form and can by easily accessed here. They were both written by Patrick, handicapped, as it were, by his late-learned Latin skills in the middle 400’s. These two texts are, in fact, the oldest documents in Irish history. From them we know that Ireland’s patron saint was not Irish but British by birth. Magonus Sucatus Patricius was born to a good Christian family around 390 Roman Briton. He admits, however, that he was not a good Christian growing up. At age 16 he was carried by Irish raiders into slavery in Ireland. 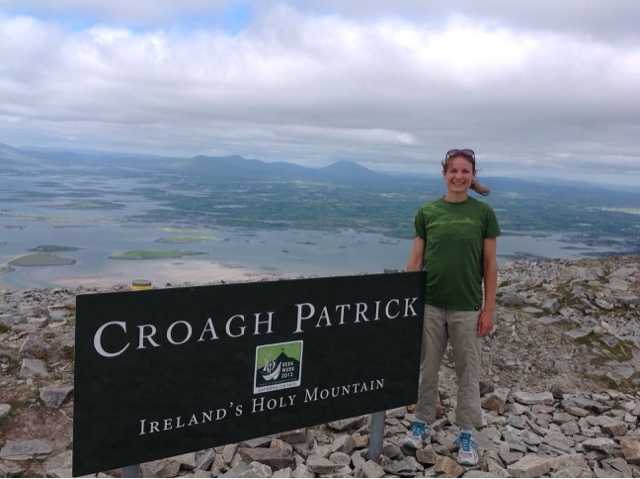 Alone in this “strange, wild land,” Patrick turned to God and grew in faith while herding on the Irish hills. Patrick reached mainland Europe a few days later with his pagan shipmates and made his way through France to a monastery in Italy. Some years later, he returned to Britain and found home “among my parents,” who joyfully welcomed him, begging him never to leave again. St. Patrick is my homeboy. Here are five reasons why-1600 years hence-this Irish leader so endears himself to this 39 year-old American evangelical. 1. Patrick overflowed with a thankfulness that made him resilient when hard times came. In an age when the smallest trifle sets us off, when wireless fails or a traffic delays evoke instant grumbles, we’d do well to follow Patrick’s example. 2. 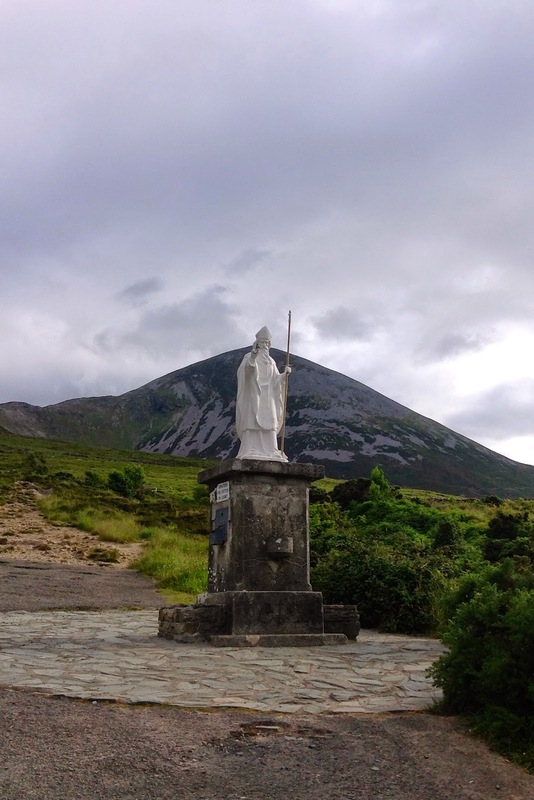 Patrick loved Ireland’s green hills, but so much more, the lost souls who dwelt among them. He knew-better than many of us-how to engage a pagan culture. 3. Patrick viewed his life and work through the lens of Scripture. His burden to serve was directly linked to Scripture’s commands. We are untethered to Scripture, adrift in life’s river despite all the props and apps offered us. Biblical allusions pepper Patrick’s Confession and Letter. Patrick, says author Richard Fletcher, “was soaked in the Bible.” Are we so soaked that we make and explain our big decisions through this lens? Do we see light in His light? 4. Patrick struggled with his sin but leaned heavy on God’s grace to fight it and keep the faith. Do we? Do we give in, give up, give way to sin- all the while denying its lifelong drag toward death. Or with Patrick, daily fight the good fight, daring not trust ourselves, looking to the Lord and to his strength? 5. Patrick saw many a splendid Irish sunrise and sunset, but worship them he did not. But we worship created things- Florida sun, bright kids, Facebook fame- even over their Creator. Patrick’s Christianity, writes Greg Tobin in The Wisdom of St. Patrick, was simple, direct, practical, as earthy as it is mystical, not so much Roman Catholic as baseline Christian, and not so much Irish as truly universal (catholic with a small ‘c’). Patrick was at once brave, bold pioneer-missionary and humble, servant-shepherd of God’s Irish flock. He was zealous and honest, ever aware of his own short-comings, and forever God’s grateful debtor. 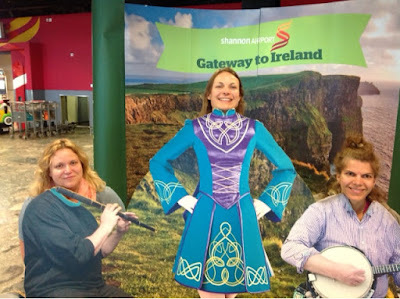 Irish history is a dramatic tale of turning from idols to serve the living God. It’s a remarkable true story of a pagan world turned totally upside-down, and converted. An unlearned sinner named Patrick had an awful lot to do with it. Maybe he ought have his own holiday.